Utilize your marketable skills and reach your highest potential with Dr. Paul Alleyne. Whether you’re an up-and-coming professional or motivated to reach your financial goals, Paul gives you the tools you need to reframe your thinking and spark a more proactive and purposeful mindset. Start your journey to success today! Tired of living from paycheck to paycheck in an endless cycle of debt? 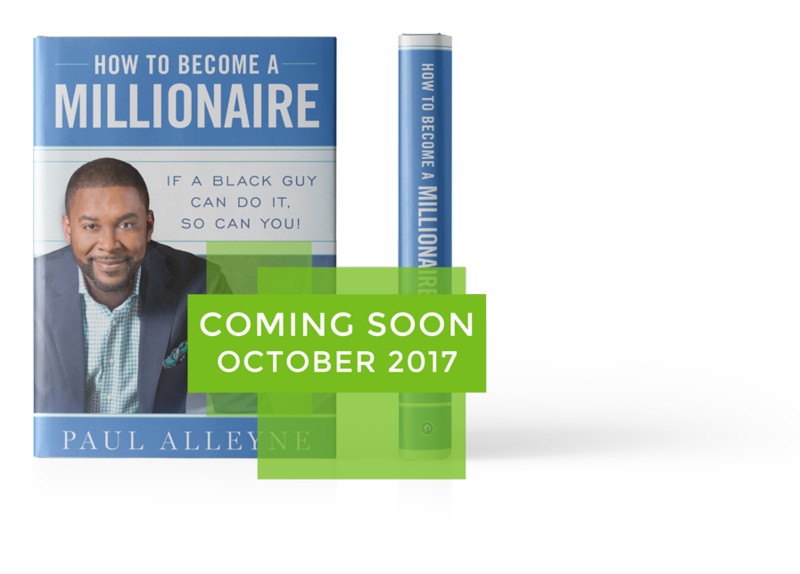 Break the chain today by ordering Paul Alleyne’s revolutionary book, How to Become a Millionaire; If a Black Guy Can Do It, so Can You!. Your journey to financial freedom starts here. I enjoyed his very down to earth approach to his writing. I recommend this book if you want to learn more about how to challenge the way you think about your own talents/skills and recognizing your opportunities to grow your wealth! An inspirational and thought-provoking read that I could personally relate to! This book has motivated me to work smarter, not harder. I'm officially a fan! I read the book not knowing what I was in for but was glad I did. This was a no B.S. way of looking at who you are, who you want to be and what you want to do. And surprisingly it's a way of looking at life as a whole and not just finances.